This level has hard difficulty. For this level try to play near to grill or make special candy as you get the chance. 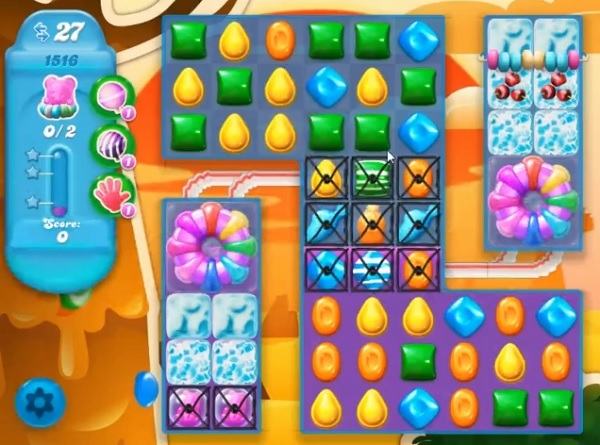 Combine special candies with each other to break the cake or use more striped candy to move the bear. Another stupid, impossible level. Too stressful. Even boosters do not help. Time to go back to reading. Not as much frustration.